Iraq, cradle of one of the earliest civilisations, of the development of writing, law and epic, the centre of the Arab-Islamic world at the time of the Abbasid dynasty. This land was also swept by invading Romans, Sassanians, Mongols, Turcomans, Ottoman Turks and Persians. And so, in this land of Arab culture, language and peoples, within the city of Baghdad there emerged an original culture at the crossroads of the three great Islamic civilisations: Arab, Persian and Turkish. The epitome of this culture was the art of the Iraqi maqâm. Today, this musical tradition is seriously threatened, notably through the economic crisis arising from the dramatic situation the country had been undergoing for a number of years. This erudite repertory is almost unknown in the West. Indeed, Iraqi music has been made famous through the Baghdad lute school which, in fact represents a trend that is relatively recent, ecclectic and not all that popular in the country. 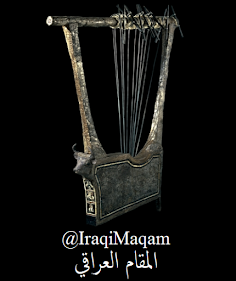 In contrast, the antiquity of the Iraqi maqâm means that it is at the basis of all urban musical expressions and concerns both the profane as well as sacred milieux. 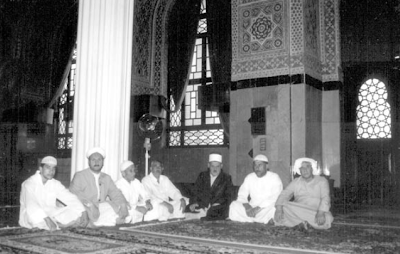 The Iraqi maqâm – which should not be confused here with the term in use for the Arab musical mode – is a vocal genre based on the succession of sung passages and quta’ or vocal pieces, on the linking up of modes and modulations and on the use of poetic forms and specific rhythms following an order established by tradition. While all the elements making up the maqâm must be respected by the performer, he nevertheless preserves a certain liberty which allows him to make personal additions. The knowldege that the maqâm rests on a set of codified rules, complex terminology and a lengthy apprenticeship all points to a learned tradition. 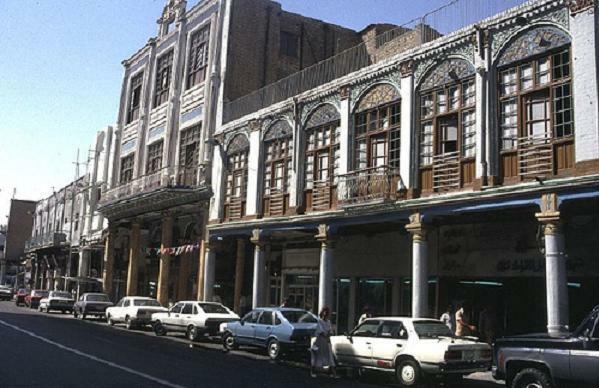 But it is also a popular one in the sense that Baghdad residents consider the Iraqi maqâm to be the property of all social classes, even though it was to a great extent patronised by the aristocracy. 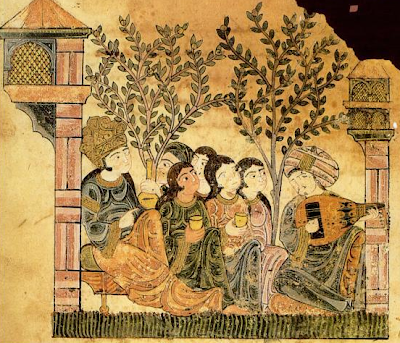 The maqâm also bridges religious and profane worlds: the same texts, the same performers, the same audiences move from the profane to the sacred in a natural continuum. 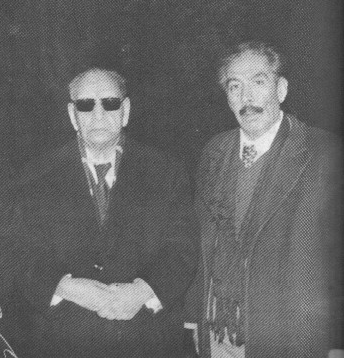 Half a century ago, the repertory included more than fifty maqâmat, the majority of which is still performed today. More than half is arranged in cycles, fusul. The five profane cycles have been destructured and replaced by free cycles whose order is decided at the time of the concert. On the other hand, cycles reserved for ritual use respect the traditional order. Performing maqâmât is always associated with other musical forms according to a particular order. 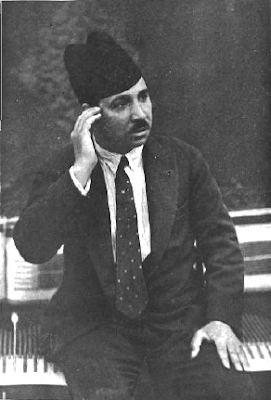 During musical evenings, each maqâm is usually preceded by a muqaddima or instrumental introduction and interspersed with taqâsîm or instrumental improvisations. It is also followed by at least one pesté, a refrain song which is most often drawn from the repertory of urban songs and in general performed in the principal mode of the maqâm.The repertory may also include popular Bedouin genres such as the 'ataba or the rural singing from central or southern Iraq: the ubûthîyya. The singer, traditionally called a qârî’ (narrator), has complete freedom to draw from the vast wealth of Arab poetry: poems in literary Arabic (classical or modern) or in Baghdadi dialect, chosen according to an imposed form. What is more, the poems shatter literally under the effect of the succession of different vocal parts and the insertion of instrumental passages between two verses, sometimes even between two parts of the verse. This partly explains performance techniques of the earliest performers which consisted of singing between the lips, thus rendering certain poetic passages incomprehensible, the text giving way to the demands of the melodic line. 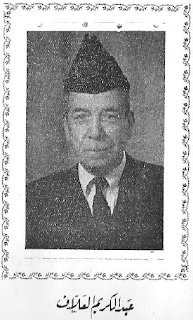 We have the great singers Mohammad al-Gubbanchi (1901-1989) and Yusuf Omar (1918-1987) to thank for having restored the importance of the text in insisting that singers take trouble over pronouncing words. In the contemporary Baghdadi milieux, a good performer is one who associates a great poet with the melody of a suitable maqâm, setting the beauty of one against that of the other. While themes are as varied as life itself, the main ones are those glorifying love, the suffering and separation and the mystical. 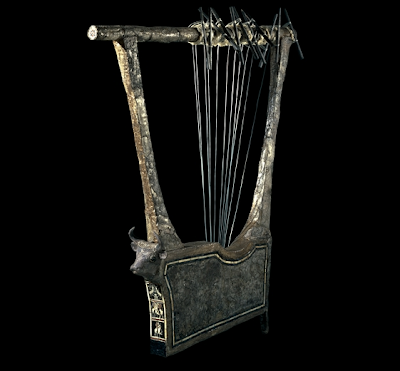 In the profane context, the maqâm is accompanied by the al-châlghî al-baghdâdî ensemble, composed of a santûr, a trapezoidal table zither with 24 struck strings, a jôzé or four-stringed spike-bowed lute, a tabla or dumbuk, drum with a single skin and a daff zinjârî, frame drum with jingles and sometimes the double timpani naqqâra. Since the thirties, some singers have decided to use the near-eastern ensemble, al-takht al-sharqî with the zither qânûn, the lute 'ûd, the reed flute nây. While these two ensembles, today, are equally used, it should be noted that in the seventies there was a marked preference for the châlghî. In ceremonies of a religious nature, the maqâm is purely vocal. 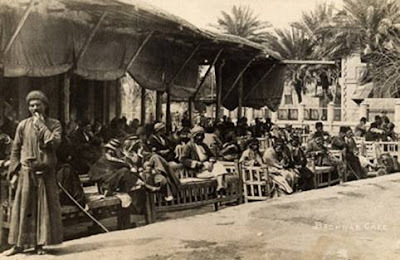 Until the end of the forties, the only public place where maqâm singers could be heard was in the café, reserved for men. The café thus doubled as a school where the great masters, their disciples and an audience that was not only wildly enthusiastic but also socially heterogenous could meet. 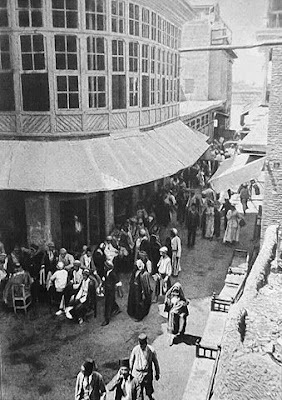 After cafés had disappeared, the maqâm tradition continued in private soirées, sahrat maqâm or châlghî, organised in the homes of the rich and middle-class bourgeoisie where it enjoyed its most brilliant hour. Various circumstances provided the opportunity for inviting singers and instrumental groups to perform before a mixed audience: weddings, anniversaries, circumcisions, calendar or seasonal festivals, the visit by an honoured guest, or quite simply the need to be amongst friends or to listen to a singer. The absence of ceremony and the consumption of alcohol (banned in cafés) fostered a free and on the whole intensely emotional interpretation, the audience sometimes taking part in the singing, dancing to rhythmic pesté. These informal gatherings have survived all the socio-economic changes preceding the 1991 war. But since then, the acute economic crisis affecting the country has prevented music lovers from organising such evenings. And today nothing much remains but cassette recordings circulating among amateurs. In the religious context, the maqâmât al-'irâqîyya are performed on the anniversary of the birth of the prophet and during mystic Sufi ceremonies. People sit in parks reciting poetry, so i don't see why it can't be the same for Maqam, perhaps its to do with lack of knowledge rather than the economic situation. I lov Iraq and Iran! Many greetings from Iran. I wish we were only one country - in fact we were that until the Arabs came and splitted us up. 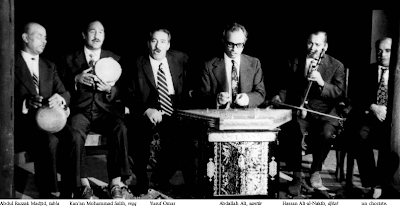 Yusuf Omar is BY FAR the greatest maqam reader of the 20th century in my opinion RIP ABO YAQOOB!